You can already propose a bounty for each issue posted on GitHub (it has been so for more than 6 months and nobody ever offered anything). The main issue is to find developers, though. If you’re a developer, you’d probably know about the bug bounties. I doubt many regular users know about this, which no doubt explains why nobody has used it for over 6 months. Users can actively recruit developers too! I just asked omgubuntu.co.uk to write in their blog that natron needs a new maintainer (as we discussed in the other thread). Since the Natron website is hosted on github, we could make a commit with changes on the site, with a content something like this: Maintainer and Coders needed. edit2: I made a pull request with a ribbon: Maintainer Needed! Community-managed Natron web site. 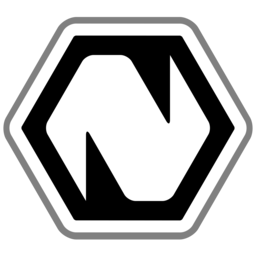 Contribute to NatronGitHub/NatronGitHub.github.io development by creating an account on GitHub. Yeah I think the some simple way to contribute for normal people like Patreon would good idea. Git hub is to confusing not very clear if you are not developer, this bounty payment is not very visible. After creating Patreon all people that are interested in using Natron can easily donate and also spread this information to all forums and social media. Might also be worthwhile to look at the blender development fund. Being able to support developers part-/fulltime is a great incentive to get new developers and keep active ones. I’m sure Ton Rosendaal (blender chairman) can provide some needed info on this. The truth is that Natron is a big project, not something you simply dive into on a lazy sunday. Things like kickstarter are great to reach a specific development target, but a steady monthly income can do much more. Hello I am a user of Natron and Blender. Also do Devops for my day job. So I would be glad to help any way I can. I am going to start looking at the code as this falls into some of my talents. So who controls what gets merged now does anyone know? So who controls what gets merged now does anyone know?